What a cute combo! I've really been wanting a pair of coated pants...these are great on you! You look great and comfy i love the pants. I like the leather like look that coated pants give you. You can never go wrong with flannel. Period. I can see why you've been wearing it so much! It's cozy/comfy looking but also really put together. These pants are great! 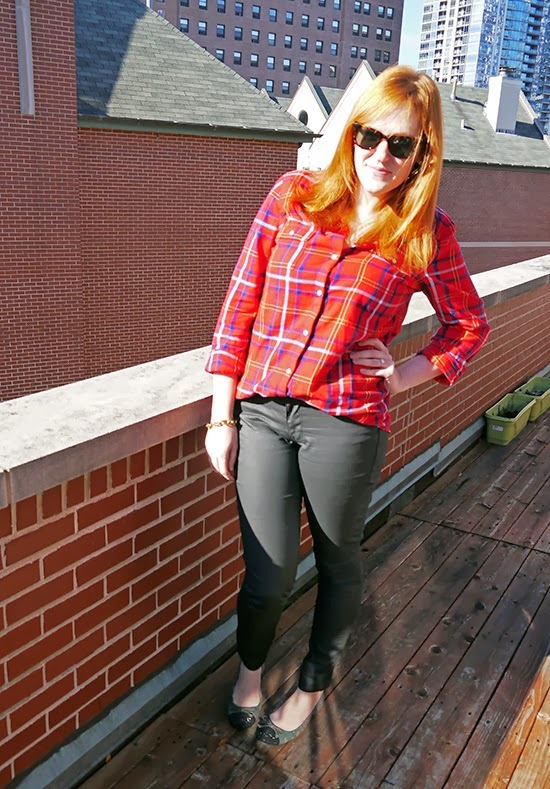 You can never go wrong with classic plaid. Cute outfit! 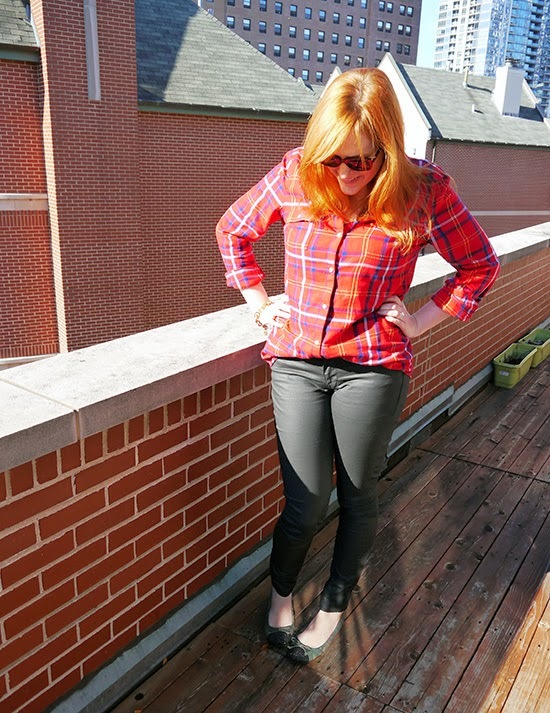 The coated skinnies totally glam up your flannel, so it's all good :) Love the look. I really love that shirt and those cute shoes!